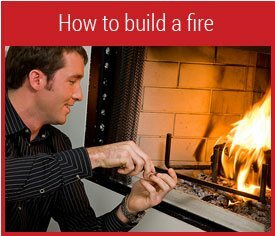 The wood you burn in your fireplace has the most significant effect on how well your fire burns. 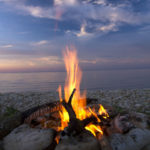 In particular, how well seasoned, or dry, firewood is will determine how easy your fire lights, how hot it burns, and how much smoke it produces. The species of tree used for firewood will also affect your fire. Whether your buy firewood or collect it yourself, you need to know how to tell if wood is properly seasoned, what species to look for, and how to estimate how much wood you’ll need for winter. 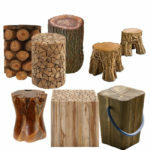 Read on in this Guide to Firewood to learn all those things so you can have the best wood fires possible this winter. How can I tell if firewood is seasoned? Seasoned firewood has been allowed to dry after being cut and split, Freshly cut firewood contains a huge amount of water, so instead of burning and putting off heat, your fire’s energy goes to boiling off all that water. Most woods take six months to a year to dry sufficiently, depending on climate. Seasoned firewood burns hotter and with less smoke than unseasoned wood. Well-seasoned firewood is darker and grayer in color than fresh wood. When knocked together, seasoned logs will make a hollow “clunk” sound. Cracks will appear in the ends of the logs. Bark on seasoned logs will be loose and start to fall off. What species of wood do I want, and how do I know what I’m getting? The best types of wood to burn are typically hardwoods. Red oak, white oak, and beech all make excellent firewood, and typically put off the most heat per log. Birch, hickory, and sugar maple are also excellent choices. Species availability will depend heavily on your location. 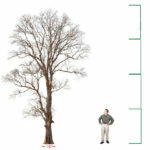 Identifying tree species once they’ve been cut can be difficult. Essentially all you have to go on is the bark. If you’re harvesting the firewood yourself, identification is much easier since you’ll have leaves and branch patterns to use. 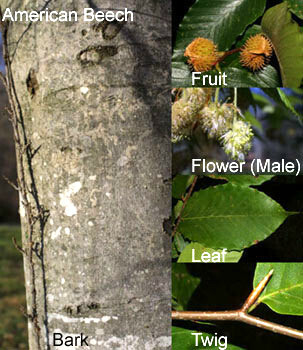 For this guide, we’ll go over how to identify white oak and American beech. For more identification help, check out a tree ID guide like The Sibley to Trees. White oak is one of the most common oaks in the mid-west and east. White oaks can become very large, and the branches often stretch out at wide angles parallel to the ground, creating a big canopy. The bark, as shown to the right, is often grey in color, with shallow fissures. 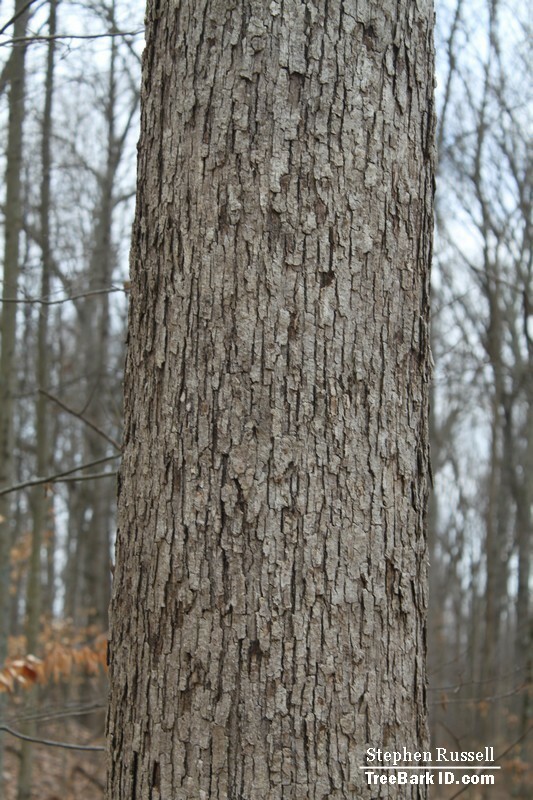 White oak bark often begins to form “scales” that overlap, creating the effect you see in the photo. 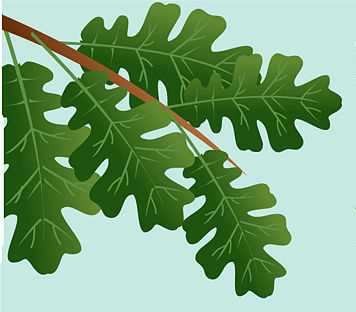 White oak leaves have rounded lobes. With it’s smooth, pale grey bark, American Beech is one of the easiest trees to identify. 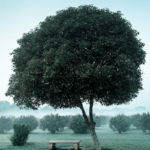 It is a common tree in eastern North America. The beech nut is easily recognizable with its spiked husk. Beach nuts are edible, but bitter-tasting. When should I get my firewood? Because firewood needs at least six months to season, we recommend buying or gathering your firewood in early Spring. There are a number of other good reasons to get your firewood in Spring. Check out our list here. 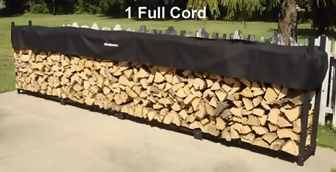 Firewood is typically sold by the cord. 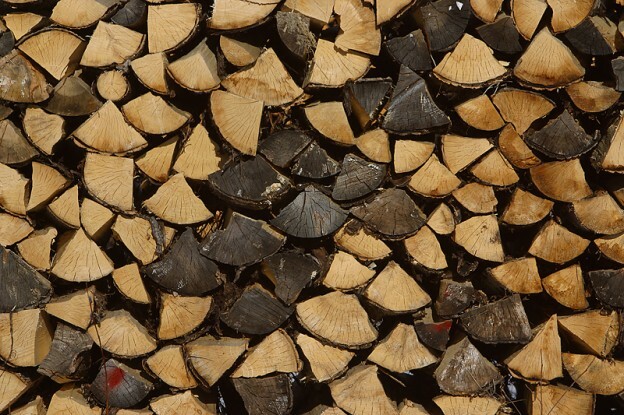 A cord of firewood is a neatly-stacked pile measuring 4 feet tall, 2 feet wide, and 16 feet long (128 cubic feet). 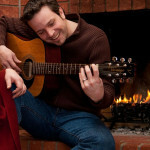 If you live in an area with cold winters and use a wood stove to heat your home, expect to use 5 cords a year or more. If you use wood fires to supplement your heating, 2 cords may be sufficient. For occasional fires, half a cord may be plenty. If this is your first season burning wood, ask your neighbors and friends how much firewood they use to get an idea of how much you’ll need. How should I stack my firewood? So you just got a full cord of firewood. Now what? Let it sit in a big pile on your lawn? Not a chance. You want to stack your firewood to keep it dry, keep termites out, and keep it neat. 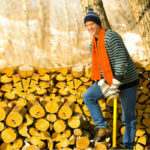 Click here for our guide on stacking firewood. 4 Pings/Trackbacks for "The FireplaceMall Guide to Firewood"